Welcome to Nesheim's serving Lafayette, Louisville, Boulder, Broomfield, Erie, Longmont and Superior Colorado areas. Nesheim's is a professional, full-service company specializing in the cleaning of carpet, upholstery, leather, area rugs, hardwood, stone and tile. 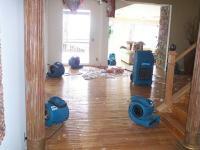 Nesheim's is also a Water Damage Restoration Company. We proudly serve the Boulder, Broomfield, Lafayette, Longmont, Louisville, Northglenn, Arvada, Thornton, Westminster, Frederick, Superior, Brighton, and Firestone areas. Nesheim's provides many more services besides carpet and upholstery cleaning. Please visit our website and see our full array of services. Nesheim's has enjoyed serving its clients since 1981. Most recently Nesheim's has been awarded the prestigious Boulder County Gold People's Choice Award for the 14th year in a row. At Nesheim's, we take pride in our reputation, experience, education, systems, and guarantee. Nesheim's is certified by the IICRC, Institute of Inspection, Cleaning and Restoration Certification, now known as The Clean Trust. 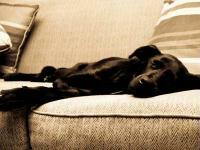 All natural, safe carpet cleaning, guaranteed! Tile & Grout Cleaning is back breaking work, let the pros do it for you! We clean all types of leather upholstery, Protected, Nubuck, & Aniline. We can really help you with your allergies and indoor air quality. We are experienced area & Oriental rugs, cleaned our Lafayette facility. Hardwood floor cleaning and recoating, never sand & finish again!